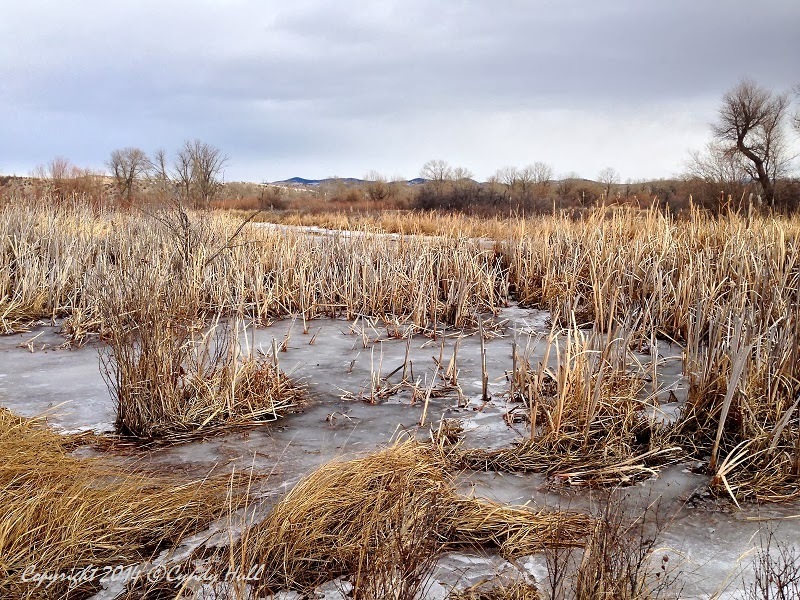 This winter wetland area along the meadow path at Missouri Headwaters State Park brought to mind childhood winter rambles. In our quest for a sledding hill on Grandpa’s farm, we trekked across acres of pastureland, skirting sloughs much like the one pictured, always careful to step on thick hillocks of grass and avoid the iffy ice. There was plenty of snow, and the cold had us bundled to leave only our eyes showing. Talk about a golden era of childhood freedoms - it still amazes me when I consider the leeway given be gone all day, on our own, with no cell phone tether and no neighbors for miles. Perhaps therein lies a clue to my craving for the balance of "alone time" and also views of unfettered terrain. Thanks for the encouragement, cuz! I enjoy checking in on your and Tiff's postings, too. Memories of an idyllic childhood indeed. Maybe that's why we have such active imaginations. We were free to roam.